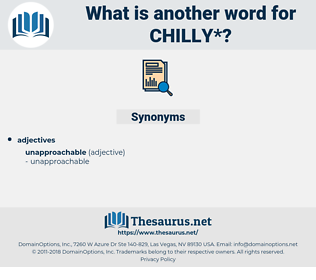 What is another word for chilly? glacial, fresh, chilled, freezing, warm, refrigerating, post-cold. friendly, heated, warm, sympathetic, responsive, hot, tropical, welcoming, temperate. 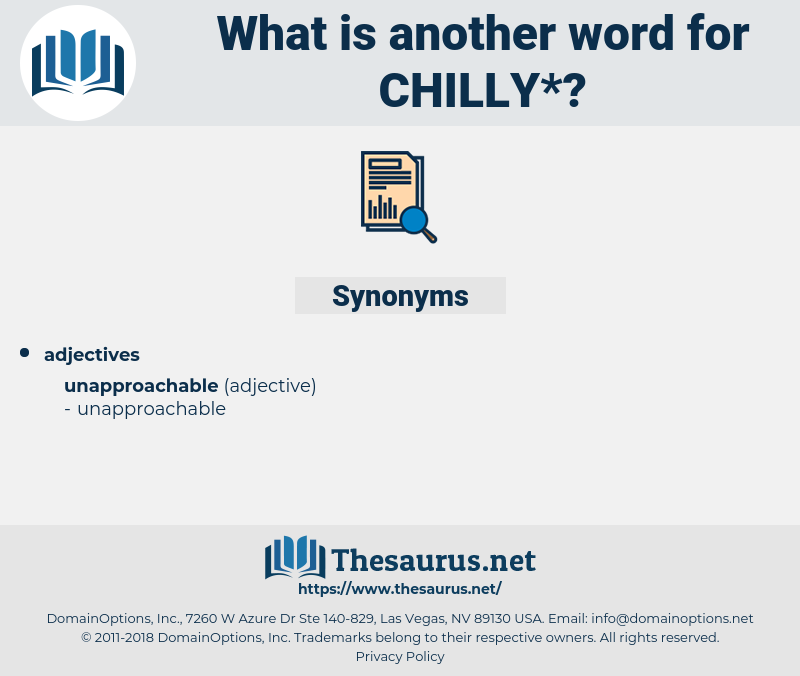 flushed, lukewarm, reheated, equatorial, enthusiastic, torrid, expressive, tepid, broiling, burning, steamy, happy, feverish, muggy, inflamed, ardent, igneous, sizzling, genial, warmed, red hot, scalding, glowing, boiling, roasting, hearty, compassionate, seething, sultry, fiery, white-hot, fervent, balmy, kindhearted, summery, canicular, toasty, kind, ultrahot, eager, molten, overheated, warm-blooded, fervid, passionate, warming, emotional, warmhearted, demonstrative, snug, blazing. I think we are a little chilly here this damp night; suppose you light the fire? His voice was chilly and his eyes a little cold as he looked rather haughtily at the principal.